I installed CQRLog 2.3.0 (002) on another laptop. Had my log imported, setup the connection with HRDLog. All fine. New entries were automatically added to HRDLog etc. Then I decided to setup eQSL connection. I chose 'upload contacts that never were uploaded', and then it uploaded ALL my contacts to eQSL.cc. Of course, most of these were rejected as dupes. The new ones were correctly uploaded. It seems to go through my complete logbook, every contact one by one. 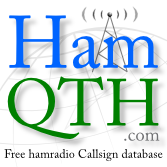 I am not a very active HAM, but I have some 3000 QSO's in my logbook. This can take forever! I don't dare to terminate the program, as I am afraid this will corrupt the HRDlog online log. Why is this? Can it be that uploading data to eQSL.cc changed something to the record (e.g. QSL sent field) and that CQRLog feels it has to update all records in HRDLog? This is highly unwanted. Is there a way to switch this off? go to Online Log > Mark All QSO's as uploaded.